Since 1996 Australia has been an influential but often obstructive player in the global climate change negotiations such as the Kyoto Protocol. Australia was one of only three countries allowed under the protocol to actually increase emissions over the 1990 base year, gaining approval for an 8% increase in the first commitment period. The Australian government has stated that that it will meet this target. However, if it does, this will only be because of substantial one-off gains from curbing land clearing, particularly in Queensland. Reductions in emissions from land clearing have masked rapid increases in other sectors, particularly from coal-fired power generation. Status under the United Nations Framework Convention on Climate Change: Australia has ratified the convention and the protocol. It is one of the Annex I Parties required to make cuts to greenhouse gas emissions. Total greenhouse gas emissions: In 2006 the total estimated greenhouse gas emissions were 549.9 million tonnes (Mt) of CO2-equivalent (CO2-e). Greenhouse gas emission reduction target: (see Greenhouse gas emission reduction targets for background information on the range and implications of emissions reductions scenarios). 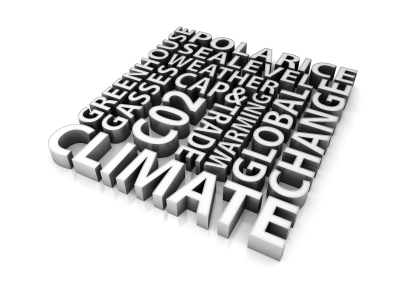 under the Kyoto Protocol: 108% - an 8% increase over its 1990 baseline for the 2008-2012 period. Australia was one of only three countries allowed under the protocol to increase its emissions. The other two were Norway and Iceland. for 2020: During the 2007 election campaign the Rudd opposition would not specify a 2020 domestic target but promised that it would commission a review of Australia's climate change policy options by Ross Garnaut. In the media release announcing his draft recommendations to government on an emissions target, Garnaut stated that "Australia should put its strongest possible efforts into securing a global agreement to limit emissions to no more than 550 parts per million CO2-e and encourage the world onto a lower emissions path as soon as feasible". Garnaut claimed that an international agreement on a global goal of 450ppm "is not immediately feasible" and that "the path to an ambitious objective of 450ppm, or lower, is through early progress on 550ppm." (See Garnaut Climate Change Review for more details). for 2050: during the 2007 election campaign, the Labor Party committed itself to "setting a target to reduce emissions by 60 per cent on 2000 levels by 2050." Analysis has projected Australia’s greenhouse gas emissions at 109% of the 1990 emissions level over the period 2008–12, calculated including the effects of Land use, land-use change and forestry (LULUCF). This is slightly above its 108% Kyoto Protocol limitation. As of 2007, the UNFCCC is reporting that Australia's 2004 greenhouse gas emissions were at 125.6% of 1990 levels, calculated without the LULUCF correction. Waste: 16.6 million tonnes of CO2-equivalent (CO2-e) or 3 of the total. Australia became a signatory to the convention in June 1992 and ratified it on December 30, 1992. It also signed the Kyoto Protocol on April 29, 1998 but refused to ratify it under the leadership of Prime Minister John Howard. Howard lost office at the November 2007 election and the incoming Labor government, led by Kevin Rudd, ratified the Kyoto Protocol in December 2007 as its first act in office. The Climate Change Performance Index 2008 (CCPI) developed by Germanwatch ranked Australia as 54th amongst 56 countries. The index ranks "climate protection performances of the 56 countries that, together, are responsible for more than 90 percent of global energy-related CO2 emissions". While the report was prepared before Australia ratified the Kyoto Protocol, government policy is only given a 20% weighting in the overall score. The Index noted that "Australia’s climate policy has more and more deviated from the necessary reduction targets as stated in the UN Framework Convention on Climate Change after the last eleven years of John Howard’s presidency. Australia increased its energy related emissions by 42 percent between 1990 and 2005. The country will only upgrade its position in the index if the newly elected president Kevin Rudd will keep his promises and realise a serious climate protection agenda." When in Opposition in 2007, Kevin Rudd stated that much of the details of his government's response to climate change would be shaped by the reports and analysis undertaken by the Garnaut Climate Change Review. As of October 2008, the government has yet to respond to the recommendations of the final report, which was released in September 2008. Energy Efficiency: In October 2008 the Council of Australian Governments Meeting announced that it had agreed to "develop a National Strategy for Energy Efficiency" and that "streamlined roles and responsibilities for energy efficiency policies and programs are to be agreed by end December 2008, and implementation of this Strategy will be finalised by June 2009". The meeting also agreed to develop "national legislation for appliance energy performance standards and labelling." The Australian Greens pointed out that the state and federal governments had agreed to a similar approach in 2002 but it did not eventuate. Renewable energy target: The website of Prime Minister Kevin Rudd states that his government is "implementing a 20 per cent Renewable Energy Target for Australia to reach by 2020" from renewable technologies "such as solar, wind and geothermal energy". The government is also funding a Renewable Energy Fund and has committed $A150 million to solar and clean energy research. New coal-fired power stations: While decisions on new power stations are dealt with by state and territory governments, the Rudd government has expressed no concerns about the construction of new coal-fired power stations. (See Australia and coal for more details). Nuclear power: The Rudd government has repeatedly ruled out domestic nuclear power stations as a greenhouse mitigation strategy. "On the question of nuclear, we believe that we have a huge range of energy options available to Australia beyond nuclear with which and through which we can respond to the climate change challenge," Rudd said. However, it is facilitating the expansion of uranium exports. Fuel-efficient cars: The Australian government announced that it would allocate $A500 million to a Green Car Innovation Fund. In June 2008 Kevin Rudd announced that a A$35 million grant from the fund would underwrite the production by Toyota of 10,000 hydril petrol/electric Camry's at its Altona plant in Victoria. However, as the number of new cars sold in 2007 topped 1 million for the first time, even the sale of 10,000 hybrid Camry's will make relatively minor difference to transport emissions. Photovoltaic solar power rebate:in its 2008-2009 budget, the Minister for Environment, Peter Garrett, announced that an additional $25.6 million would be allocated for rebates on the installation of solar photovoltaic systems under the Solar Homes and Communities Plan. However, the government announced that the rebate of up to $8,000 would only be available on households with an annual taxable income of less than $100,000. (See The Australian Labor Party's 2007 Election Campaign Climate Change Policies for further details). Targets and timetables: (See Greenhouse gas emission reduction targets for more information). Coverage of all greenhouse-inducing gases: In an August 2008 submission, the Australian government argued that there "is a strong case" for the inclusion of additional hydrofluorocarbons (HFCs), perfluorocarbons (PFCs) and nitrogen trifluoride. However, the submission also argues that the Australian government does not currently support the inclusion of fluorinated ethers, perfluoropolyethers and sulfuryl fluoride but may in future commitment periods. (See Greenhouse gases omitted from the Kyoto Protocol for more information). Carbon Capture and Storage in the Clean Development Mechanism: In an August 2008 submission, the Australian government argued that there is "now scope for measurable, reportable and verifiable abatement through carbon capture and storage". Nuclear power in the Clean Development Mechanism: Not known. The inclusion of HFC-23 projects in the Clean Development Mechanism: The Australian government notes the potential problem with the inclusion of HFC-23 projects in the CDM but does not take a position one way or the other. Instead they state only that the Ad Hoc Working Group on Further Commitments for Annex I Parties under the Kyoto Protocol "should address the specific matter of HFC-23 incineration activities and make an assessment of the relative merit of these projects." (See Clean Development Mechanism and HFC-23 destruction for further details). At the conclusion of the Accra Climate Change Talks 2008, Bill Hare, Greenpeace International's Climate Policy Adviser and one of the authors of the Intergovernmental Panel on Climate Change's Fourth Assessment Report, described the behavior of Australia and other members of the Umbrella Group as "deeply disheartening". "We wonder what is going on with Australia. Australia, under the Umbrella Group, last week spent two days blocking the discussion of the formation of a very important contact group. Two wasted days. It managed to find ways of blocking or be unconstructive on many other things here," he said at the final media conference of Climate Action Network International. The Umbrella Group, Hare concluded, "haven't brought forward anything new to the negotiations. They are sitting there fat and happy and lazy that the Bush administration is disengaged. They are not contributing to the solution to the problem at present. So we think that they have to go back and come forward with really constructive proposals to help solve the problem". Guy Pearse, High & Dry: John Howard climate change and the Selling of Australia's future, Penguin, 2007. ISBN 0670070637 ISBN 978-0670070633. David Spratt and Philip Sutton, Climate Code Red: the case for emergency action, Scribe Publications, July 2008. Annex 1 countries are required to submitted 'national communications' to the UNFCCC to report on progress in implementing the convention as are those that have ratified the Kyoto Protocol. Australian Greenhouse Office, Climate Change: Australia’s national report under the United Nations Framework Convention on Climate Change, Australian Greenhouse Office within the Department of the Environment and Heritage, September 1994. UNFCCC, "Summary of the Report of the In-Depth Review of the National Communication of Australia", December 14, 1995. UNFCCC, "Australia. Report on the in-depth review of the national communication of Australia", December 14, 1995. Australian Greenhouse Office, Climate Change: Australia’s Second national report under the United Nations Framework Convention on Climate Change, Australian Greenhouse Office within the Department of the Environment and Heritage, November 1997. UNFCCC, "Australia. Report on the in-depth review of the second national communication of Australia", October 18, 1999. Australian Greenhouse Office, Australia’s Third National Communication on Climate Change, Australian Greenhouse Office within the Department of the Environment and Heritage, 2002. UNFCCC, "Australia. Report on the in-depth review of the third national communication of Australia", August 25, 2005. UNFCCC, "Australia. Report on the in-depth review of the third national communication of Australia: Corrigendum. ", November 16, 2005. Australian Greenhouse Office, Australia’s Fourth National Communication on Climate Change, Australian Greenhouse Office within the Department of the Environment and Heritage, December 12, 2005. Australian Academy of Technological Sciences and Engineering (ATSE), Assessment Of Impacts of Climate Change on Australia's Physical Infrastructure, Australian Academy of Technological Sciences and Engineering, November 2008. ↑ Australian Government Department of Climate change, "National Inventory Report 2006 – Volume 1: The Australian Government Submission to the UN Framework Convention on Climate Change June 2008", Department of Climate Change, 2008, page 21. ↑ Mike Roarty, "The Kyoto Protocol—Issues and Developments through to Conference of the Parties (COP7)", Australian Parliamentary Library, September 13, 2002. ↑ Ross Garnaut, "Garnaut: Start on a 550ppm Trajectory, Aim for 450ppm or lower", Media Release, September 5, 2008. ↑ 4.0 4.1 Kevin Rudd, "Ratifying The Kyoto Protocol", Media Statement, December 3, 2007. ↑ United Nations Framework Convention on Climate Change, "Change in GHG Emissions Excluding LULUCF %", United Nations Framework Convention on Climate Change website, accessed September 2008. ↑ Australian Government Department of Climate change, "National Inventory Report 2006 – Volume 1: The Australian Government Submission to the UN Framework Convention on Climate Change June 2008", Department of Climate Change, 2008, page 20. ↑ 7.0 7.1 Jan Burck, Christoph Bals, Marisa Beck and Elisabeth Rüthlein, Climate Change Performance Index 2008: A comparison of the 56 top CO2 emitting nations, December 2007. (Large Pdf). ↑ Council of Australian Governments, "Council of Australian Governments’ Meeting", COAG website, October 2, 2008. ↑ John Bruesch, "Vow on energy efficiency", Australian Financial Review, October 3, 2008, page 11. ↑ "Climate Change and Water", Prime Minister of Australia, accessed September 2008. ↑ "Rudd to announce $5b carbon sink plan", AAP, July 15, 2008. ↑ "Rudd rejects push for nuclear power", June 27, 2008. ↑ "Press Conference with Prime Minister, Minister Carr and Kasuaki Watanabe: Toyota hybrid car", Transcript, June 10, 2008. ↑ Jez Spinks, "It’s official: new-car sales break 1 million barrier", drive.com.au (Sydney Morning Herald), January 7, 2008. ↑ Peter Garrett, Minister for the Environment, Heritage and the Arts, "Increased Funding for Solar Rebates in 2008-2009", Media Release, May 13, 2008. ↑ 19.0 19.1 Bill Hare, "Climate Action Network International Press Briefing", Accra Climate Change Talks 2008, August 27, 2008. Paul Kay, Australia and Greenhouse Policy- A Chronology, Background Paper 4 1997-99, Australian Parliamentary Library, September 29, 1997. Climate Action Network Australia, Greenhouse Gas Emission Reduction Targets for Australia, Position Paper, Climate Action Network Australia, August 2008. Lenore Taylor, "Australia cries foul over climate rules on developing countries", The Australian, November 26, 2008. This page was last edited on 16 December 2009, at 20:02.